MWOOD PLACE, Ohio — Before opening their doors at noon, the librarians squeeze tables and chairs between the book stacks to prepare for the onslaught of hungry children. Usually, two or three dozen show up, but occasionally, up to 70 do. Librarians used to forbid any food or drink to avoid staining books and attracting pests. People who tried to sneak snacks in the stacks would be reprimanded. But in recent years, a growing number of libraries have had a major shift in policy: They are the ones putting food on the table. Hundreds of libraries are now serving federally funded summer meals to children to ensure that they don’t go hungry. 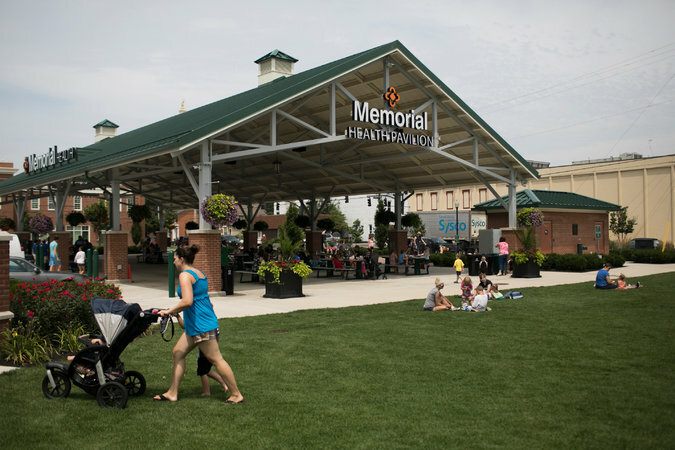 The change is part of an effort to stay relevant to patrons, and to pair nutrition and educational activities so low-income children get summertime learning, too. Ms. Dowdell said her daughter, who will be starting kindergarten this fall, is typically more picky so doesn’t always want to eat at the library. But today they had little choice. “I didn’t have food at home, so we had to come,” she said. After one lunch, Danielle McFarland, the children’s librarian at Elmwood Place, gave out tiny robots called Ozobots, which are designed for the youngsters to program. Another time, she brought in a 3-D printer so they could see how it worked. Local sponsors like camps, operators of school feeding programs or churches procure food to be prepared, get it delivered to sites like libraries, and handle most of the administrative tasks and paperwork for reimbursement. The meals are paid for through the United States Department of Agriculture’s summer food service program. In 2016, it funded roughly 50,000 sites nationwide as a way to feed kids who rely on free or reduced meals during the school year. That year, nearly four million children got roughly 179 million meals. Since the 1970s, the U.S.D.A. has tried to fill the gap by providing meals at sites like camps, parks and Y.M.C.A.s. But transportation can be a barrier for accessing many of these programs, as are the limited number of summer camps and activities for low-income kids, according to a new report called “Hunger Doesn’t Take a Vacation” by the Food Research & Action Center. In July 2016, summer meals served only one child for every seven low-income children who participate in free and reduced-cost lunch during the school year, the group said. In interviews, librarians and anti-hunger advocates in California, Ohio, Virginia and New York all reported sizable increases in participation after a concerted recruitment effort spread from state to state through webinars, librarian conferences and word of mouth. In 2014, the U.S.D.A. started recommending libraries as potential partners, and has an online tool to connect them to sponsors, said Jalil Isa, a spokesman. In 2016, public libraries in California provided over 203,000 meals for children at 139 sites, up from just 17 in 2013, said Dr. Cole, who has a doctorate in librarianship. After the U.S.D.A. push to involve libraries, Hunger Solutions New York, a nonprofit in Albany, reached out to librarians in the state. 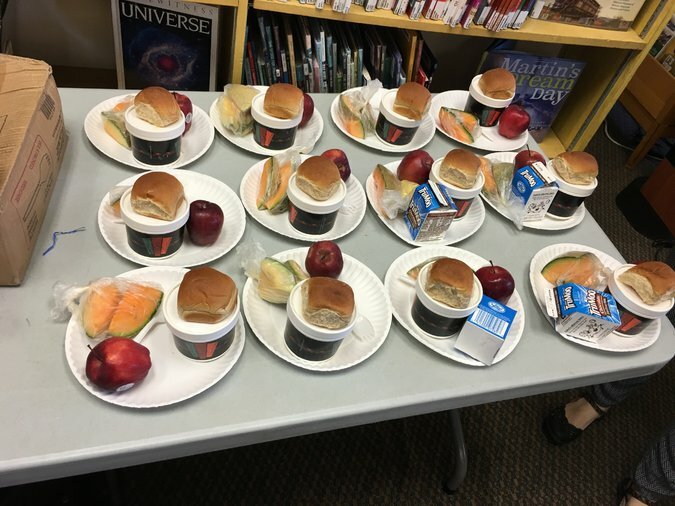 New York has more than 115 participating libraries this summer, compared to 36 in 2013, said Misha Marvel, a child nutrition programs specialist at Hunger Solutions New York. Put another way, going to a library is inconspicuous in a way that showing up at a food bank isn’t. 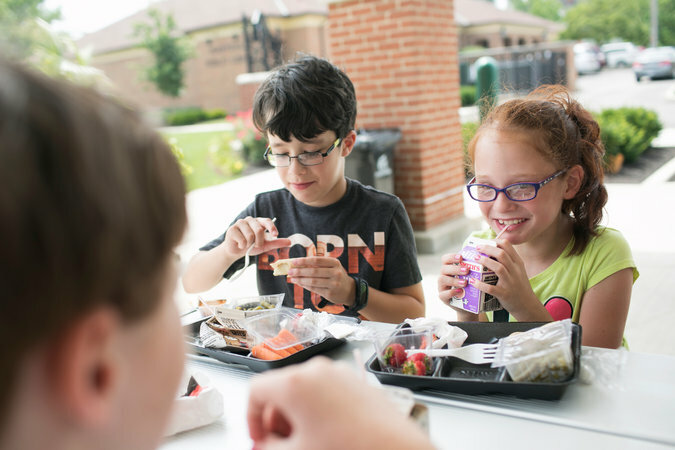 To be eligible to serve food, a site must be located in an area where at least 50 percent of students get free or reduced-price meals at school. Census data can also be used to identify areas of eligibility. But any child can be fed, once a summer meals site is up and running. Elizabeth Elswick, 35, a receptionist at a Y.M.C.A. and a frequent patron of the Marysville Public Library in Ohio, appreciates not having to prove her girls “are worthy of having assistance” before they eat lunch. When Kate McCartney, the youth services manager in Marysville, heard there were no summer meal sites in her county, she wanted to get involved. The program has grown exponentially. In 2015, it served 4,082 meals; this season, with four weeks left, more than 4,000 lunches have been distributed. At Beale Memorial Library in Bakersfield, Calif., in an addition to more than 3,000 meals served last summer, librarians also offered a Lego club, bilingual story time, make-it-yourself slime, and creative time to doodle on paper-covered tables.